Because our training method differs greatly from that of traditional mathematics, just because your child struggles with math at school doesn’t mean he won’t do well at UCMAS. On the contrary, some of the most successful students have been those who had previously found math difficult. If a student is dedicated to the program, receives strong parental support and encouragement and persists through the initial training period, dramatic improvement is guaranteed. This is confirmed by the many testimonials we have from our proud UCMAS parents. My child is an A student in math. Is there a benefit to his learning the Abacus? 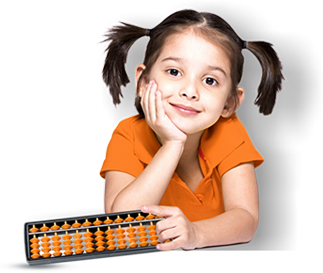 The UCMAS Mental Math program trains students to quickly and accurately do complex calculations without the aid of a calculator or other helpers. Introduce the concept of visualization and thinking in pictures. Are parents kept in the loop? How? Unique among its competitors, UCMAS actively encourages parents to participate in the Parents Orientation (prior to starting the Basic level), which helps parents understanding the system and support their child in the early training stages. Parents are also regularly kept up to date as to their child’s progress throughout the program. Why should I enroll my child in UCMAS child development program?